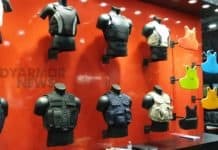 Warrior Trail Consulting, LLC unveils its newest innovation in military training armor by announcing a line of non-ballistic dummy body armor plates, providing a unique addition to the military training and technology community. 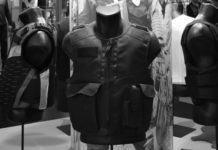 These U.S. manufactured dummy body armor products provide low-cost training alternatives that can potentially save military services millions of dollars by avoiding damage and wear to expensive ballistic body armor plates. Warrior Trail’s non-ballistic dummy body armor plates match the size, shape, weight and rigidity of the Interceptor Ballistic Armor (IBA) style plates used by U.S. military forces worldwide. Each Enhanced Small Arms Protective Insert (E-SAPI) and Enhanced Side Ballistic Insert (ESBI) training plate is manufactured from rigid PVC material that is impervious to damage by impact, shock, water, mud, fuels or other contaminants. Plates can be easily washed and reused indefinitely. Warrior Trail plates are indistinguishable from the IBA style ballistic plates when worn in Outer Tactical Vests (OTVs) or plate carriers during training. Yet, these new dummy body armor training plates are inexpensive, generally costing less than one-tenth the price of ballistic armor. The high cost of technical inspections required to detect and repair damaged ballistic plates is avoided. Other costs associated with acquiring, maintaining, and disposing of sensitive items are completely eliminated. Warrior Trail training body armor is ideally suited for basic and advanced combat training, ROTC, non-commissioned and officer training schools, service academies and special operations units. About Warrior Trail Consulting, LLC: Founded in 2008, Warrior Trail Consulting has manufactured thousands of non-ballistic training SAPI plates for use in IBA-style OTVs. 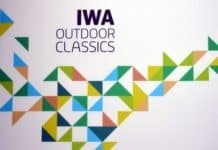 Their new non-ballistic E-SAPI and ESBI training products are unique to the marketplace. All Warrior Trail dummy body armor products are U.S. patent pending, manufactured in the United States and available for purchase in sizes small, medium and large.